17. Uninstall the installed utilities and you are done! 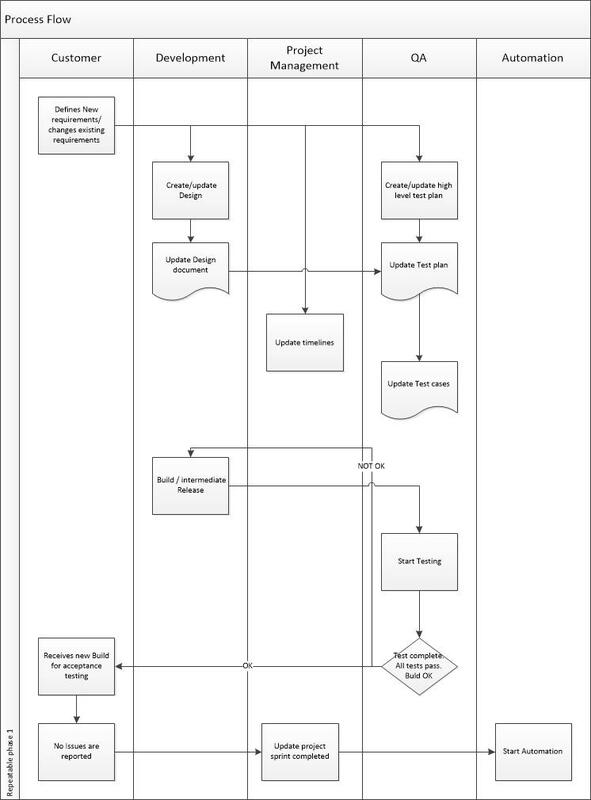 Here is a process diagram that can be implemented to enable the rapid application development. As you see that there are input documents for each phase of software development. Before the project starts most important being the Requirement Analysis. Requirement analysis accurately documents all necessary features in details and functionality desired. In web applications this is not enough because additionally a visual design is necessary to create how the app will actually be used by end user. The mock-up of all the pages and visual design gives a clear flow of the app. 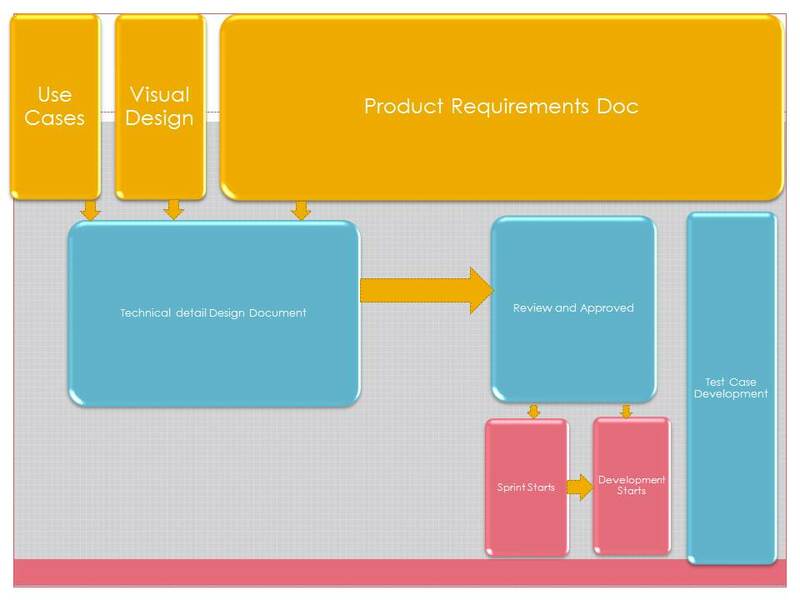 Based on the visual design and requirements documentation its now possible to create a Product Test Plan. This test plan is actually used by the Tester/QA to start with Test Case development. As shown the Tester/QA engineer develops the Use Case document so all Test scenarios can be developed. All these documents are input documents for Detailed Technical Design document. A detailed technical document is then reviewed and approved by all stakeholders. An Agile Scrum master is now ready to take this forward since all the detailed technical design and the tasks can be identified. Scrum Master then proceeds with a 10 day sprint cycle and delivers a demo at end of each sprint. Layout template: (multicolumn/single column/grid) etc..
A sub-task module further simplifies task by adding multiple pages where now each page can be specified with multiple custom fields. Magento offers demo data as optional installation. If you are installing for first time it’s recommended to also download the demo data. Before installing you need a Wamp or XAMP installed on your windows machine. If you install the latest version it may not be supported as yet so do check the System Requirements from http://www.magentocommerce.com/system-requirements page before copying downloaded files in your web folder. Load the sample data in magento database and point to your browser to magento web folder. Rest of the installation is straightforward and once you setup the passwords you are done. Browse to the admin panel and there are plenty of things to configure from extensions to add-ons to third party integrations. The crux of the magento is in these configurations. Once configured the payment method and other customizations you are done! Now next step is to add modify the product catalog. Since we loaded the sample data its already there. Your first magento application is now ready. Conclusion: eCommerce app development couldn’t get easier than this! Developers need an environment where they can work independently. We define a process driven but simplified method called swim-lane testing. Its easy to do just follow your process and you are done!